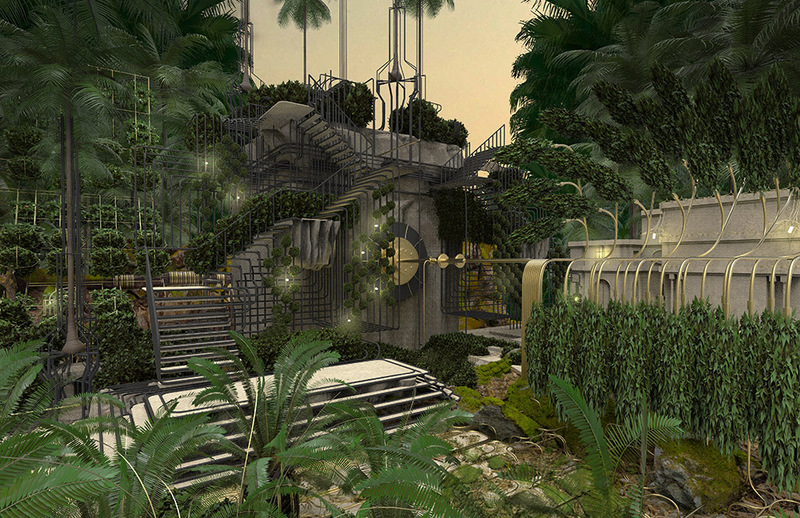 Metro Garden emerged from a simultaneous exploration of existing infrastructural conditions, as well as an existing and once prominent (but no longer accessible) garden in Khedival Cairo. Through a revamping of the existing metro station, the project was able to reimagine how a metro station could also become a machine that supports the growth of a park. 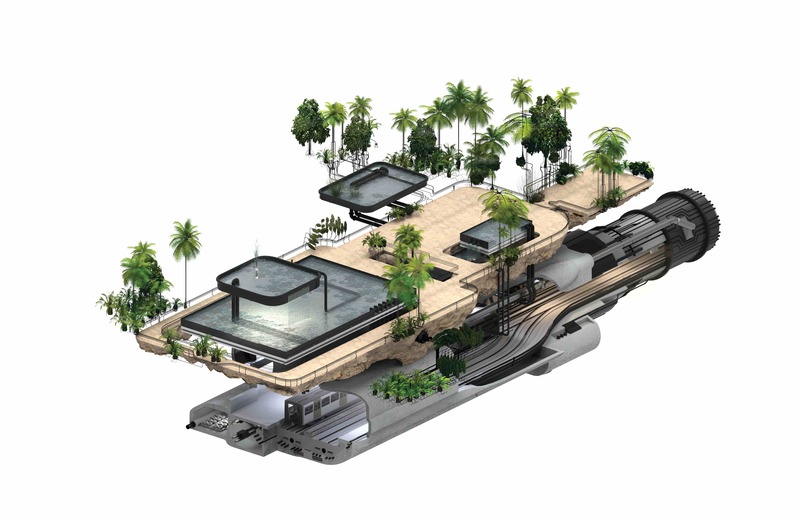 The project hybridizes properties from the existing subway station - piping, pumps, and filtration systems - with elements of vegetation, in order to create a new type of garden. This new hybrid, one of nature and machine, is deployed as elements from the infrastructural station peel out into the garden in order to create various conditions for plantings to sprout out of. The new terracing on top of the metro station also becomes an extension of the garden with its pathways and fountains that allude to the nature of the infrastructural piece that rests just below. From the mixing of these mechanistic qualities with those of nature emerges an aesthetic which becomes ornamental, both naturalistically and mechanistically. Mixing and making new hybrids from these existing urban conditions allowed us to make a new type of urban spatial configuration that also mixes and borrows qualities from the adjacent plots of the urban site.